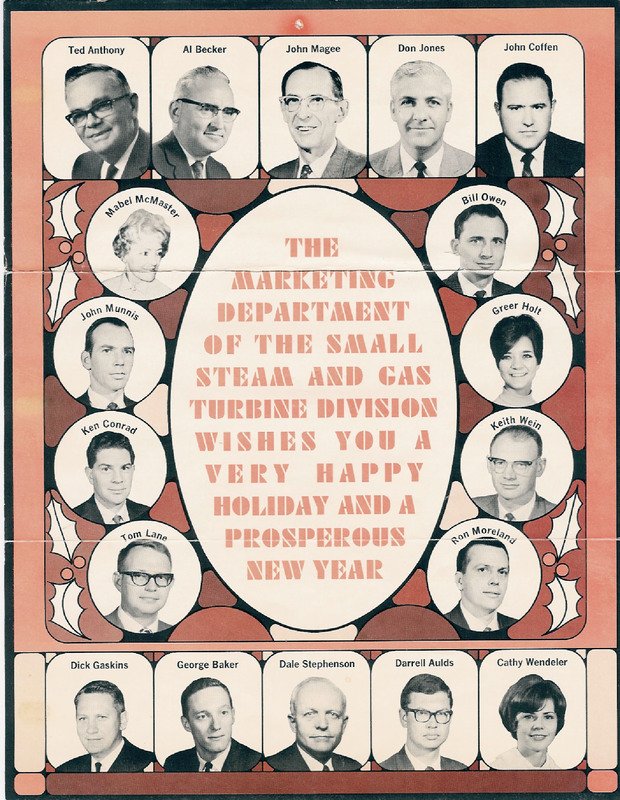 A seasonal card from the Marketing Department of Westinghouse Electric's Small Steam and Gas Turbine Division (SSGT). Ted Anthony was Marketing Manager for the department and Don Jones was the Sales Manager for the United States. Original seasonal greeting card, 1967: Private Collection of Harry L. Jaeger. Digital reproduction of original seasonal greeting card, 1967. 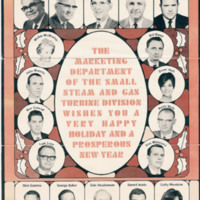 “Westinghouse Electric Small Steam and Gas Turbine Division Christmas Card.” RICHES of Central Florida accessed April 22, 2019, https://richesmi.cah.ucf.edu/omeka/items/show/7764.